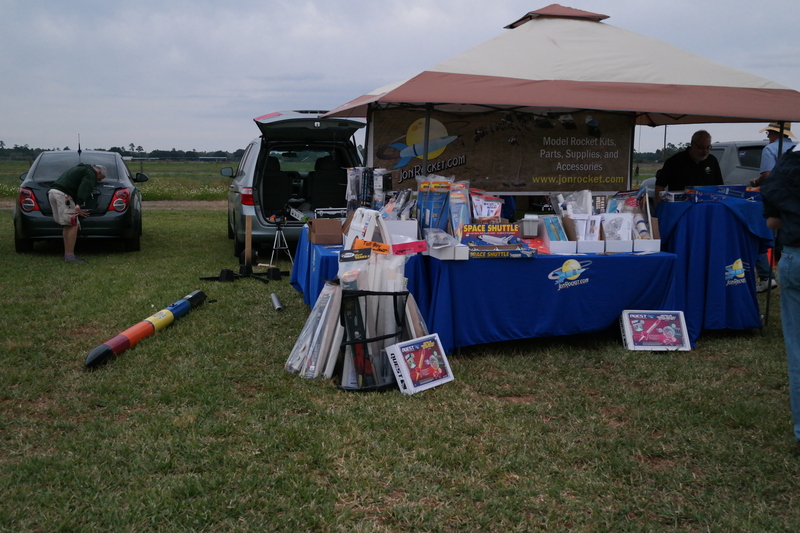 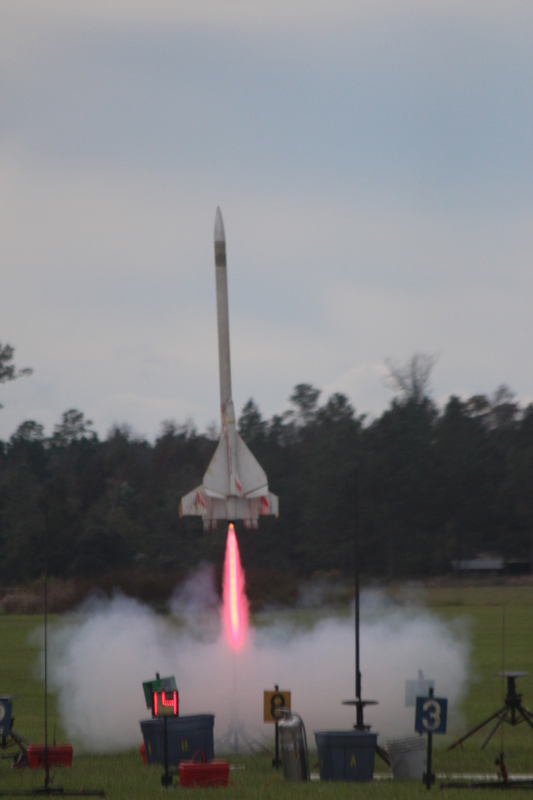 The February 21, 2015, TTRA launch has been cancelled due to wet field conditions. 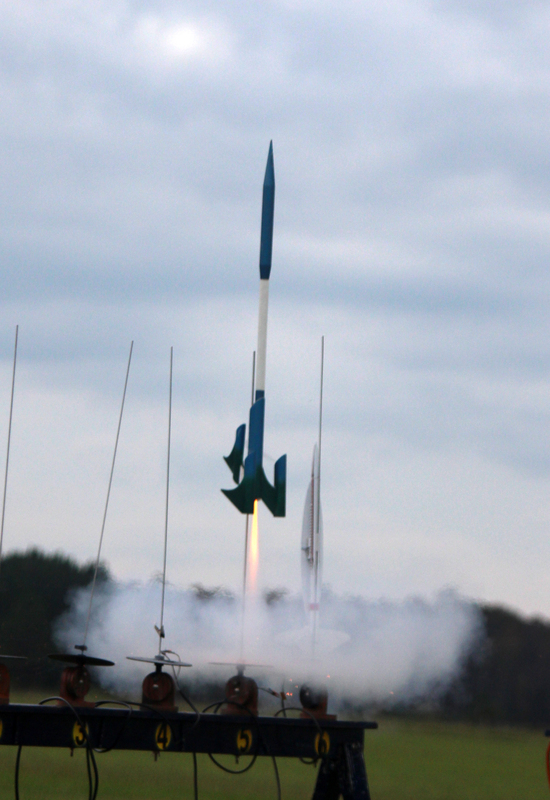 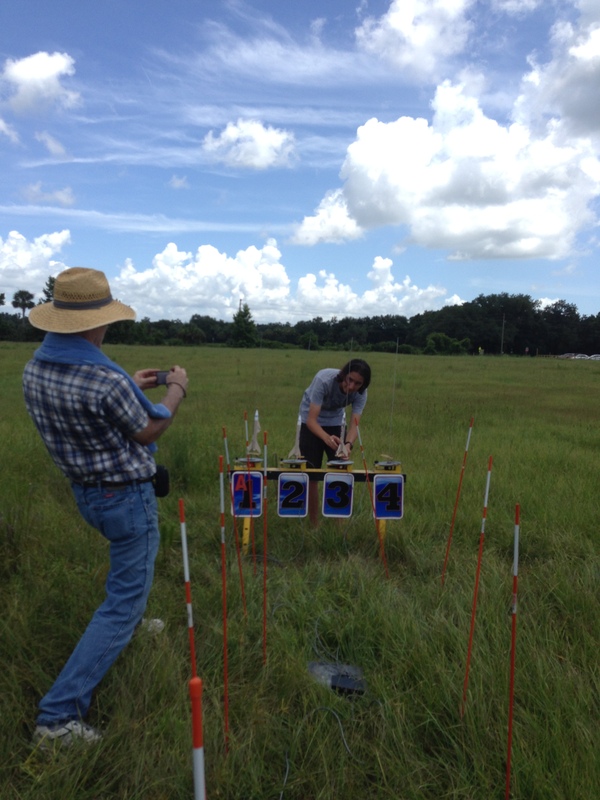 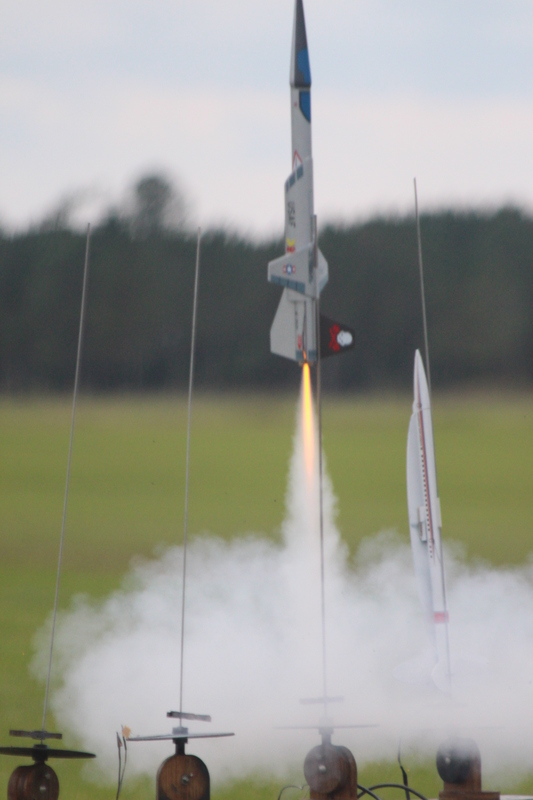 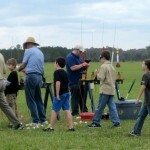 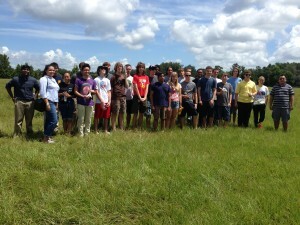 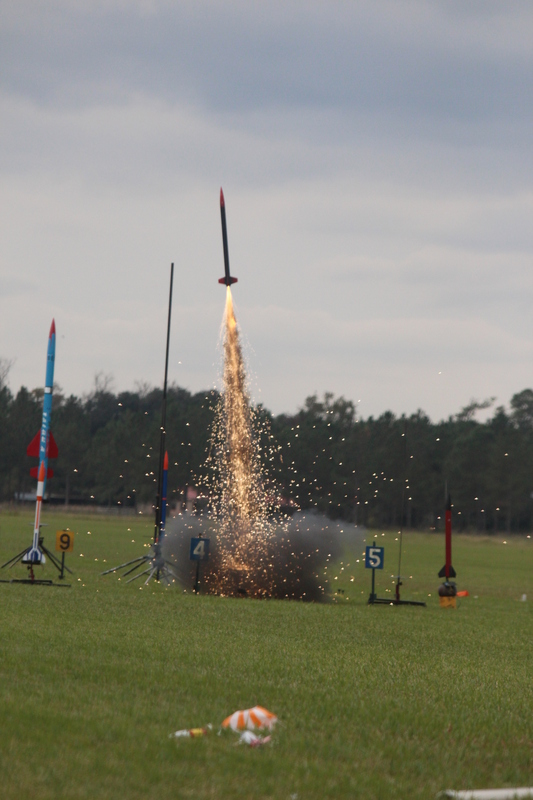 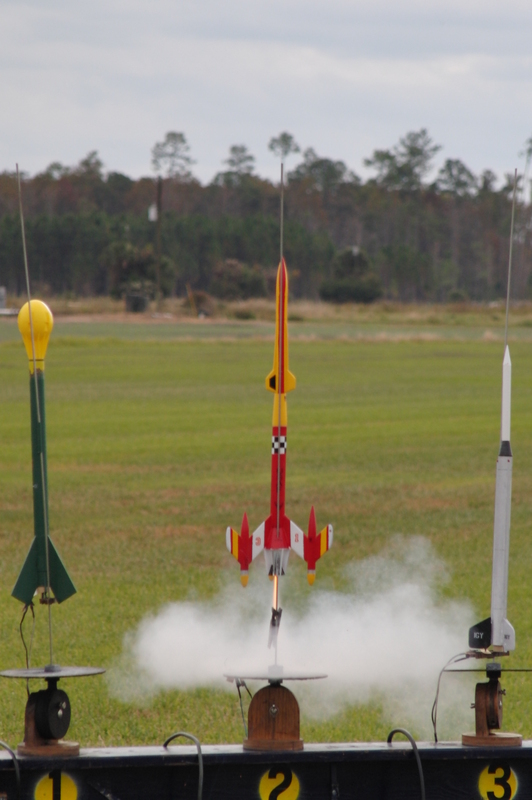 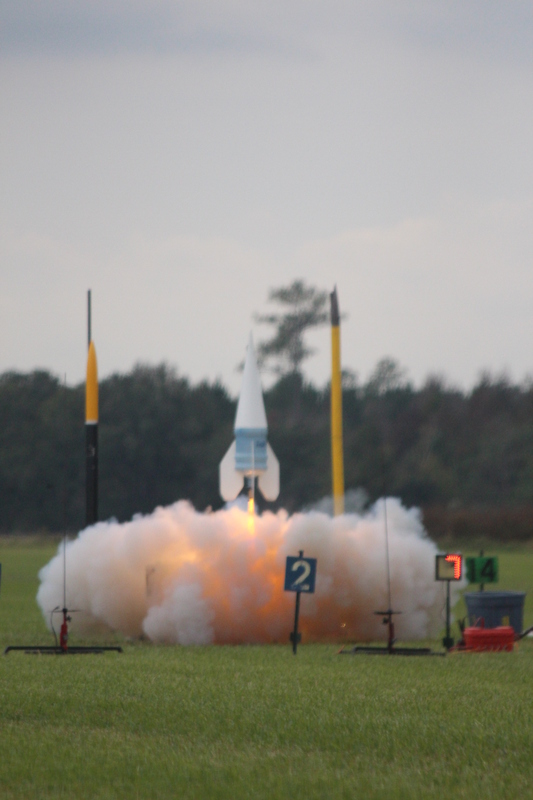 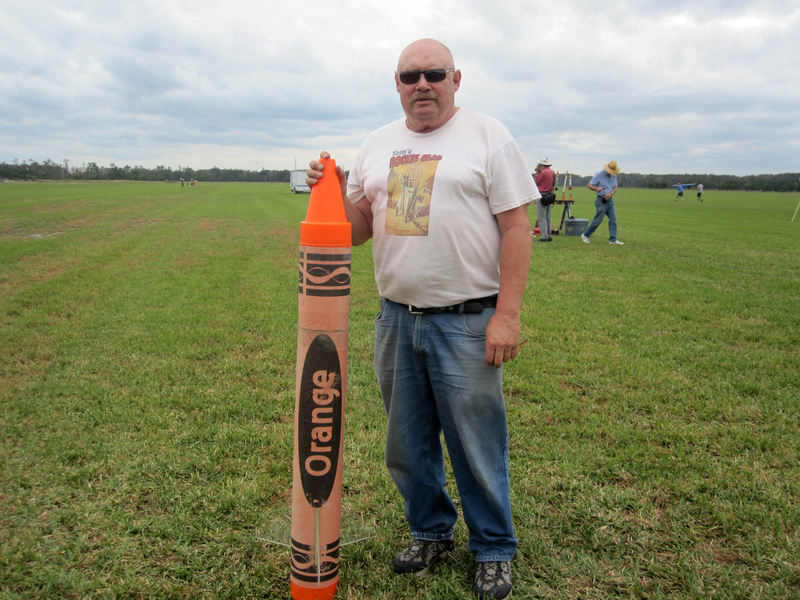 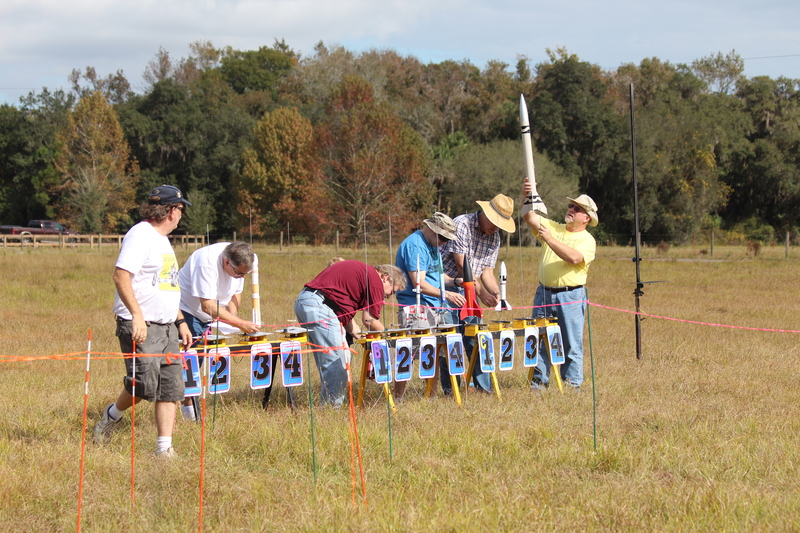 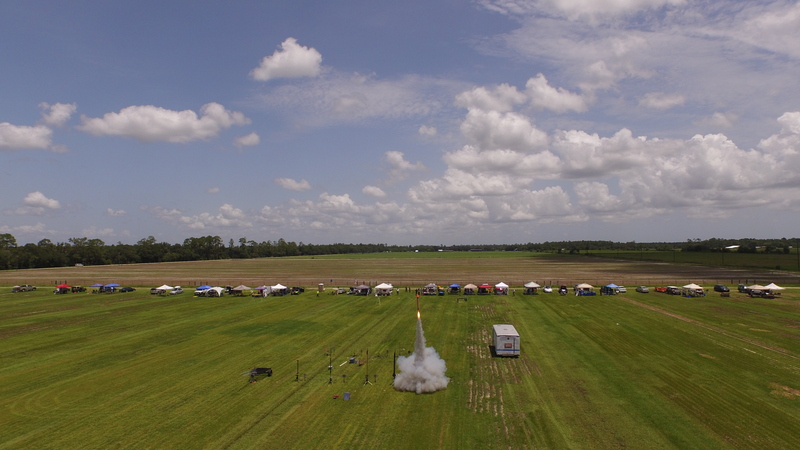 NEFAR hosted it’s annual two-day Bunnell Blast launch on November 8 and 9, 2014. 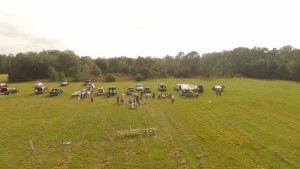 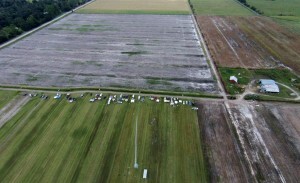 Canopies, cars, and trucks covered the full length of the north edge of the launch site and extended around the eastern edge. 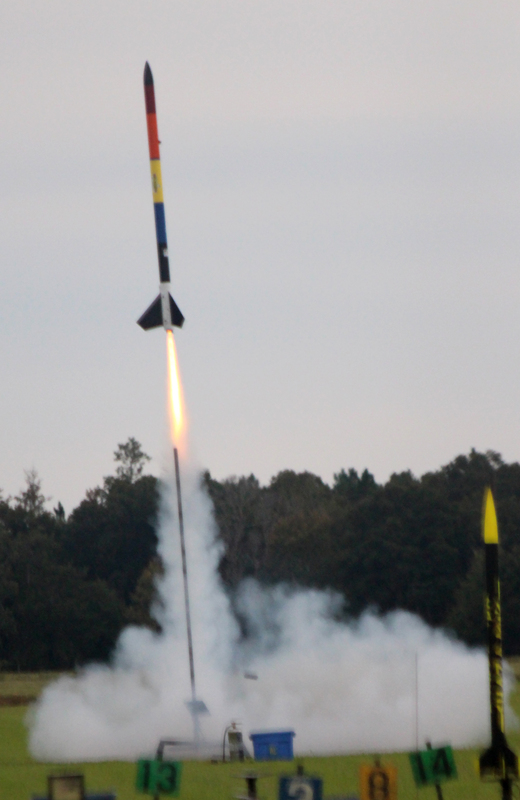 Chris Michielsson debuted his latest odd-rock creation, the Spudnik which he flew, though “flew” might not be the right word, on an A10-3T motor. 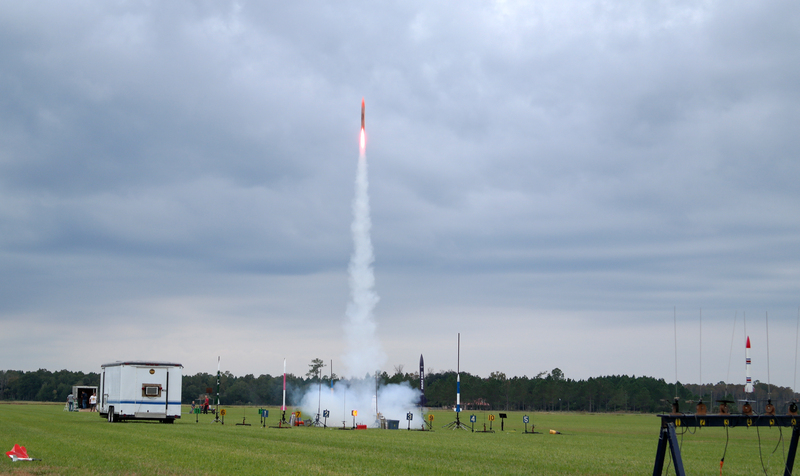 The overcast skies on Saturday provided a dramatic backdrop for the high-power launches, especially the ones flying on “sparky” motors. 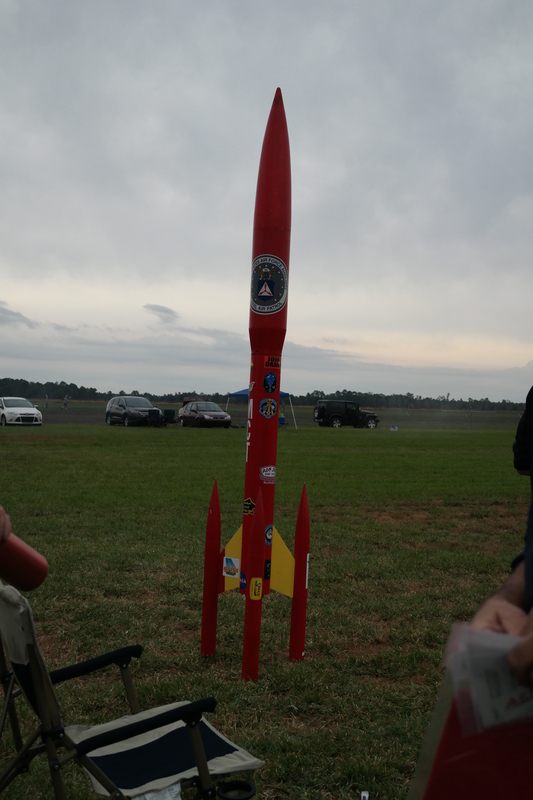 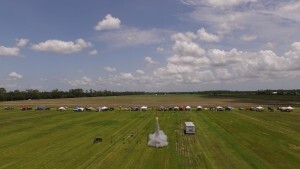 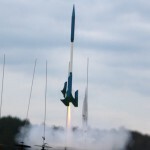 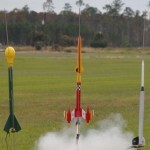 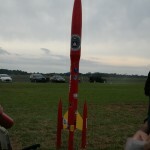 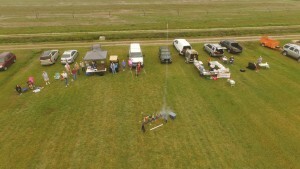 The rocket above lifted off powered by two J motors with dark smoke then airstarted two sparky J motors. 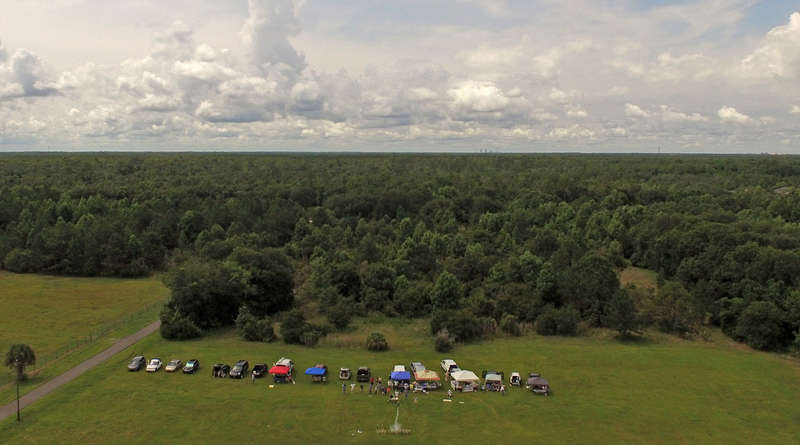 The forecast for Sunday was dreary, but the day actually turned out nice. 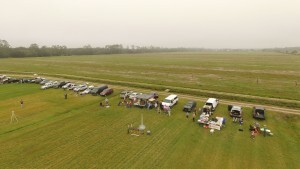 The light rain ended before 11 and the sun peeked out between the clouds a few times. 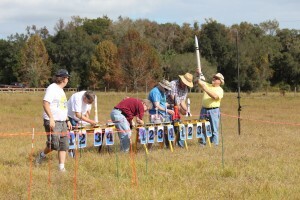 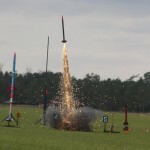 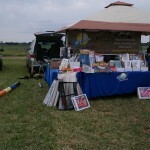 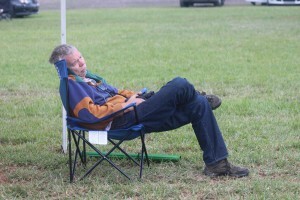 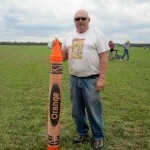 You can see additional still photos taken at Bunnell Blast by Bracha and myself in the RocketReviews.com NEFAR Photo Album. 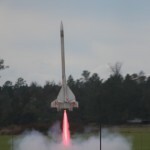 I’ve uploaded my still photos of the October, 2014, launch to the NEFAR Rocket Launch Gallery at RocketReviews.com. 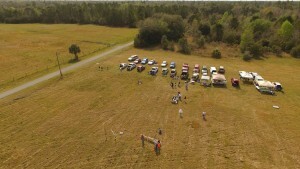 I’m still working on editing the videos from my quad-copter and will post them soon.